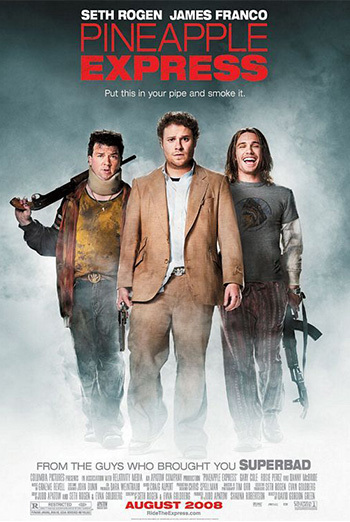 A lazy stoner (Seth Rogen) is the sole witness to a murder by an evil drug lord (Gary Cole) and a corrupt cop (Rosie Perez). Marked for death, he runs for his life, dragging his dazed dealer (James Franco) and his supplier (Danny McBride) with him on a hilarious pot-fueled adventure. Consumer Advice:(BC) Frequent coarse language and drug use. (AB) Substance abuse. (SK) Frequent coarse language and drug use. (MB) Violence, coarse language, substance abuse. (ON) Coarse language, violence, substance abuse.